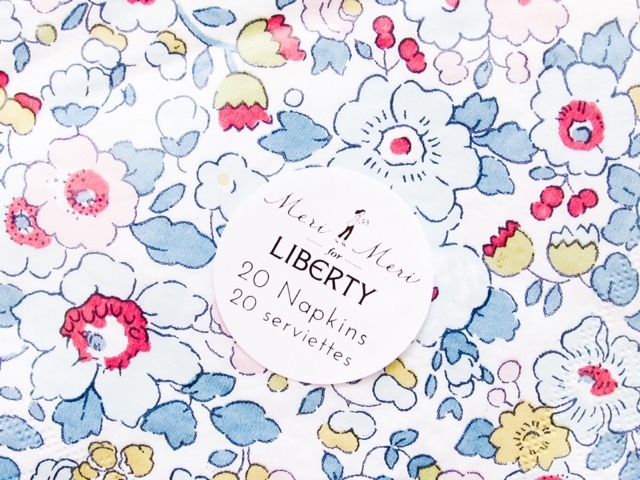 Liberty London is well known for their stunning fabric designs and when Meri Meri collaborated with them to create a party range I couldn't have been more excited! 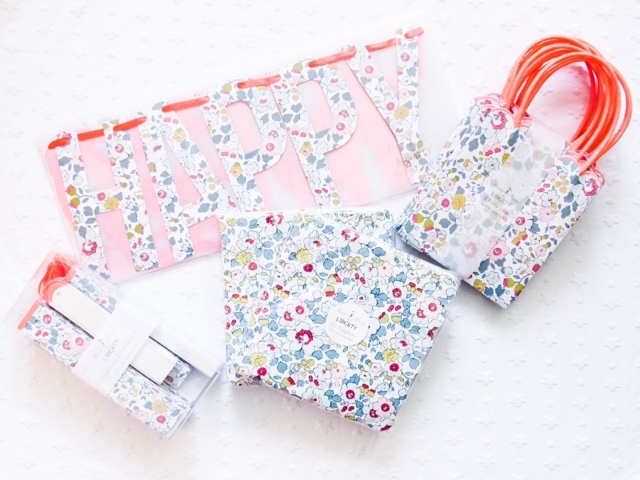 We are having a floral themed birthday party for Isabella's first birthday, so the Liberty Betsy party range couldn't have been more perfect. Party Pieces is a website that stocks an extensive and outstanding range of party supplies, including this Liberty Betsy range. 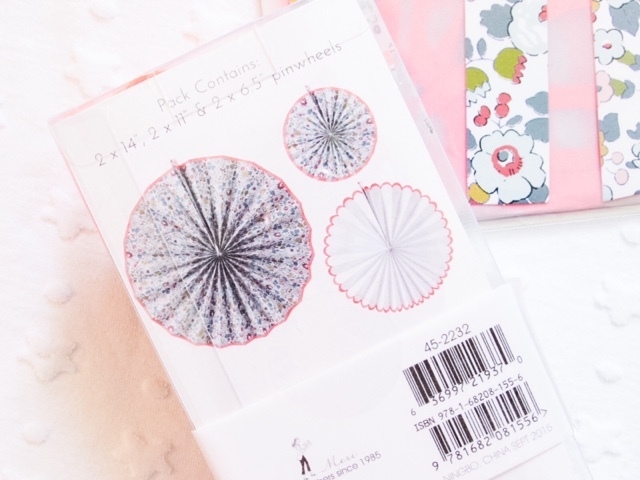 The Liberty Betsy grey/blue floral design is the basis of the party range, which includes: large/small/canape paper plates, paper cups, straws, large/small napkins, party hats, paper bags, party bags, Happy Birthday garland, mini garland, pinwheel set and cupcake kit. Everything you'd need to throw a beautiful, floral party! Though this range and the party supplies available from Party Pieces aren't exclusive to birthday parties. They would be perfect for weddings, family get togethers, dinner parties and special events. I wish this Liberty Betsy range had been created when we got married, as we certainly would have used it at our wedding. The quality of the Liberty Betsy range is outstanding, it not only looks luxurious but feels it too. 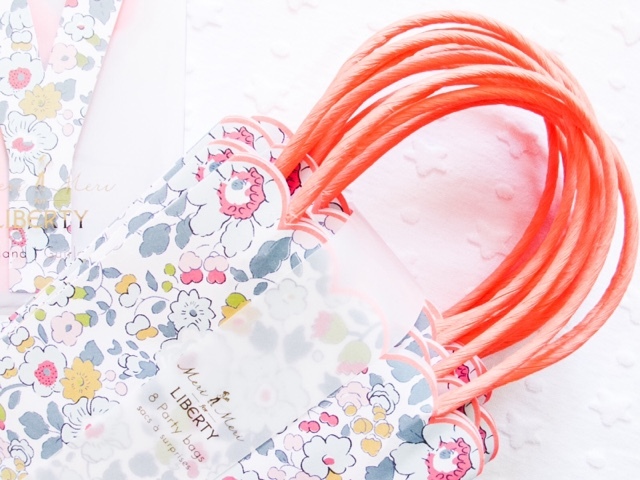 The party bags are so sturdy and have the Liberty logo printed on the bottom, adding to the elegant and stylish design. I really like how they've used a pop of neon orange throughout the range, it makes the decorations really pop when you walk into the room and is such a fun colour to carry through any other decorations/tableware you may be using at the party/special event. I'm going to find some neon orange tissue paper to put in the top of each party bag, so that the contents are covered from peaking children (or adults)! It will break up the floral pattern and hopefully make it a bit more exciting when the children open their party bags. Which is your favourite item in the range? *This post contains PR samples, all opinions are honest and my own. What a great idea, using the orange tissue paper in the floral bags. 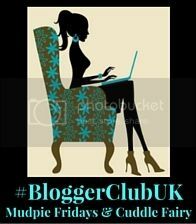 I also love the scalloped top! I bet they'll be gorgeous at Isabella's party! Wow these are absolutely stunning. Certainly beats my plastic minion party bags. These are gorgeous... and I have a first birthday rapidly approaching! A cute first birthday party! However, I would prefer a princess Party for my daughter’s first birthday celebration. Thinking to book a local party venue NYC for the party. Hopefully will be able to do party arrangements to perfection!